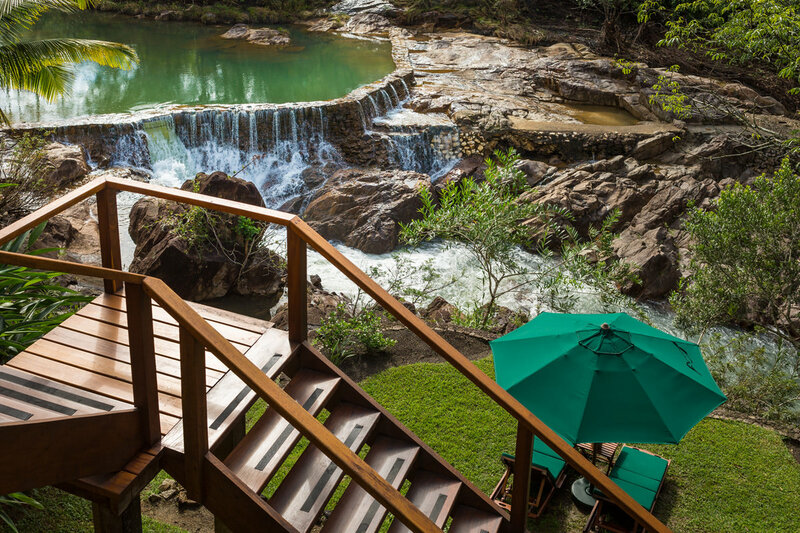 Perched over Privassion Creek waterfall, the Honeymoon Cabaña offers the ideal getaway for a romantic Belize honeymoon. 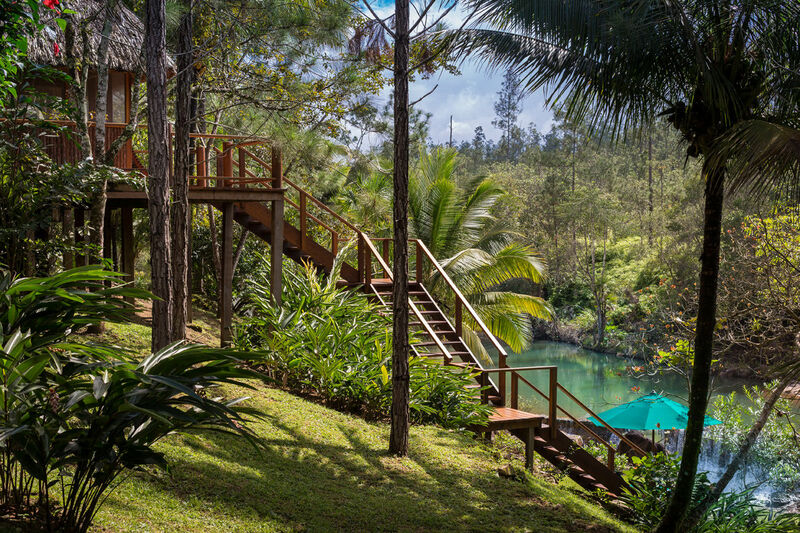 The cabaña has a huge private deck overlooking the falls, and stairs allow you to walk down closer and relax in private lounge chairs. 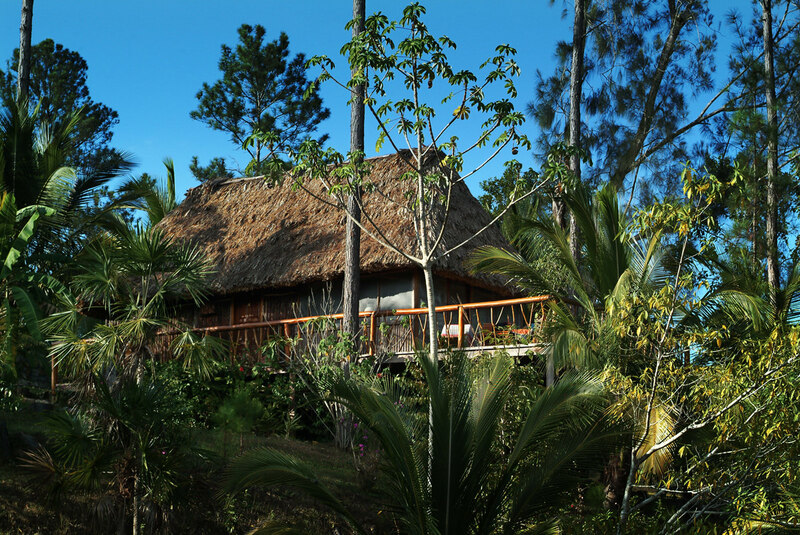 Once you reach the banks of Privassion Creek, stop at our Belize spa for a rejuvenating massage. 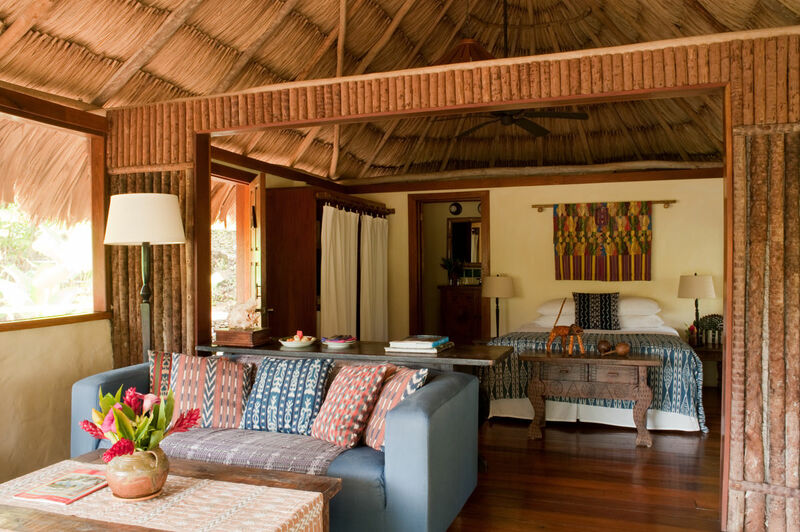 This cabana features a queen-size bed, ceiling fan, sofa, and Guatemalan décor. 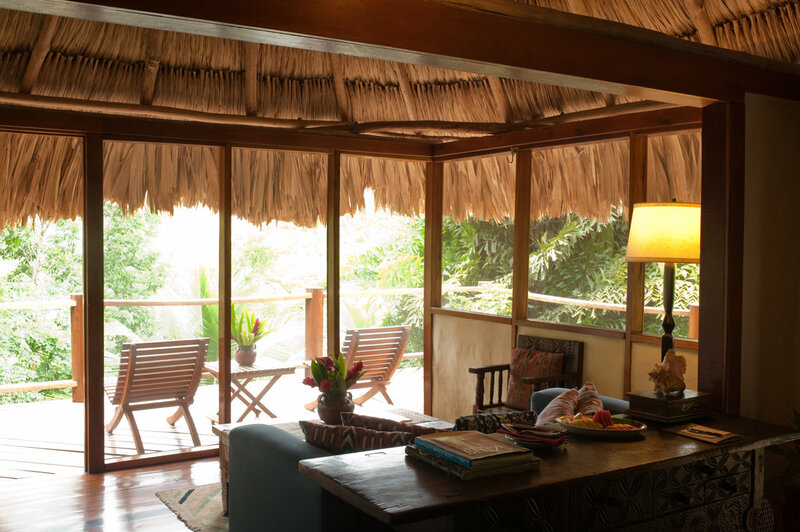 Find out more about our Belize luxury hideaway package for honeymooners.